A small pilot study has indicated that neurofeedback – where patients concentrate on modifying their own brainwave patterns – has potential to treat many of the 100m people worldwide who suffer from Treatment-Resistant Depression (TRD). This is the first time that neurofeedback has been shown to improve both individual symptoms and overall recovery in TRD. According to the World Health Organisation*, “Depression is the leading cause of disability worldwide”, with over 300m people suffering globally. There are treatments for depression, but up to a third of people don’t respond to treatment, even after trying different antidepressants. This is Treatment-resistant depression (TRD). For these patients, there are limited options. Now a new pilot study from Korea indicates that neurofeedback may be offer a viable treatment to patients suffering from TRD, if used with antidepressants. Working with 12 patients with TRD and 12 controls, the researchers put patients through 12 weeks regular training sessions, where the patients learned how to vary their brainwaves in response to audio and visual signals. In past research, different brainwaves have been shown to be associated with different moods and brain states, so these patients were asked to concentrate on changing the levels of particular types of brainwaves as they were displayed on a computer screen. On each visit, patients received beta/sensorimotor rhythm training for 30 min, and then alpha/theta training for 30 min. Psychological progress was measured using various standard depression questionnaires** at the start of the treatment, then at 1, 4 and 12 weeks. These questionnaires showed how treatment affected such factors as interpersonal relationships, work ability, and family life. The researchers found that in the neurofeedback group, 8 of the 12 patients responded to treatment, and 5 of those responded well enough to be classified as being in remission. Most of these patients are now under long-term observation to see if remission has continued. In contrast the control group did not show significant improvement from baseline after 12 weeks. “Neurofeedback has been trialed with psychological conditions in the past, but as far as we know this is the first time that anyone has succeeded in achieving remission and overall recovery (functional recovery)with treatment-resistant depression. This is particularly important, because this is an otherwise untreatable group of patients. In our study we included patients with major depressive disorder, who still had residual symptoms and functional impairment despite receiving antidepressant treatment. Our results suggested that neurofeedback might be an effective complementary treatment to make patients feel well again and successfully engage with life. The most promising thing about neurofeedback is it doesn’t cause even mild side effects. It could also improve self-efficacy by participating active, voluntary treatment. 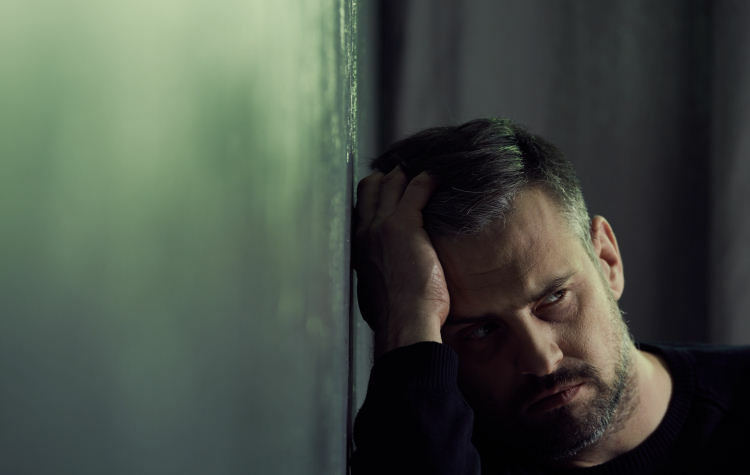 “This is a very interesting study targeting remaining depressive symptoms in patients who insufficiently responded to previous treatment trials of antidepressants. Although the number of included patients are small (12 treated with neurofeedback vs. 12 controls) we should consider this pilot study as promising and suggesting that alternative approaches (relative to antidepressants) might be beneficial in nonresponding depressed patients. Further work is needed to both replicate these results and compare this strategy with alternative treatment options (e.g. psychotherapy or additional pharmacotherapeutic steps). This will enable the community to determine where neurofeedback must be positioned and/or when it should be recommended in future guidelines”. Dr Ruhe was not involved in the research.